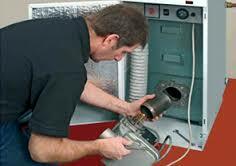 Boiler services Dublin are Ireland's largest independent boiler specialists. We are happy to offer you some useful boiler maintenance tips. During the summer months even in Ireland there is little or no need to switch on your gas boiler or oil boiler. This is great as you are not burning fuel therefore saving money. The downside is that boilers are very similar to cars. If you leave your car parked in the garage for 6 months, it may not start. It may seem strange to say but during the warm periods it is of importance to give your boiler a work out. With the Irish weather changeable to say the least people can get caught off guard when rushing to turn the boiler on when a cold snap hits. If you follow our boiler maintenance tips you can ensure the your oil boiler or gas boiler is perfect working order for when you need it. Adjust your heating controls. In the summer months when you generally don't use your boiler you should set your thermostat at a very low level. At the same time you should limit when your heating controls allow your heating to be turned on. This can save you money and still make sure that you won't be cold. N.B. read your instruction manual carefully before making any adjustments to the settings on your heating system. This will prevent you possibly breaking something or messing up the settings. In the warm months you still need to give your boiler some exercise. As I mentioned earlier boilers are similar to cars, parts can seize up and stop working completely. This is caused by a build up of grime, dirt and dust from non use. If you run your boiler occasionally this makes sure the moving parts are still working. 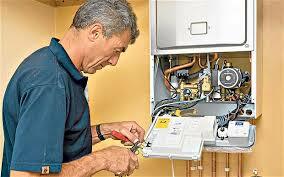 If the weather is so good and your boiler is not coming on even intermittently, give it a blast. Turn on your boiler for 5-10 minutes at the same time turn up your thermostat to a high level. This will ensure your boiler is working correctly and your pipes and radiators get a good blast as well. During the warm months your heating pipes and radiators can accumulate dirt and sludge. If you do this monthly it can prevent the cost of having your heating system power flushed when the cold weather hits. Think about saving money in the long term. As a rule of thumb the older your boiler is the less efficient it is. A recent study stated that after 3 years a boiler service can save 15% on annual fuel costs. Even taking this in to account an old oil or gas non condensing boiler only converts approximately 77% of fuel in to actual usable energy(this is normally a generous estimate). This can be compared to a new condensing boiler which is far more Eco friendly and will convert approximately 91% of the fuel it uses in to heat producing energy. Please note that for the last 6 six years gas boiler replacements are now legally required to be high efficiency condensing boilers. Please have a look at our article 8 reasons boilers breakdown when winter arrives. If you do decide that you would like a gas or oil boiler replacement you will find it will be cheaper in the summer months when all boiler services specialists are quieter. So by planning ahead you can save money on a new boiler and gain great rewards on fuel savings in the future. Finally a few more obvious boiler maintenance tips that are often overlooked. For peace of mind always have a carbon monoxide detector fitted, boilers can develop leaks when not in use. If you have an oil tank, regularly check the level. If it runs out completely you will have to have the lines bled through. This is an extra cost you don't need. Try to have your oil tank filled towards the end of the summer before the weather turns. When the cold weather hits everyone wants their tank filled and you don't want to run out. Do not under any circumstances cover your gas boiler or it's air vents. Also check that the outside flues are not blocked. This article was written by Patrick Stirrat a senior boiler services technician with over 35 years experience within the industry. We are always happy to offer free advice and no obligation quotes on boiler repairs, replacements and service. call 01-8326699 to speak to one of our industry experts today.